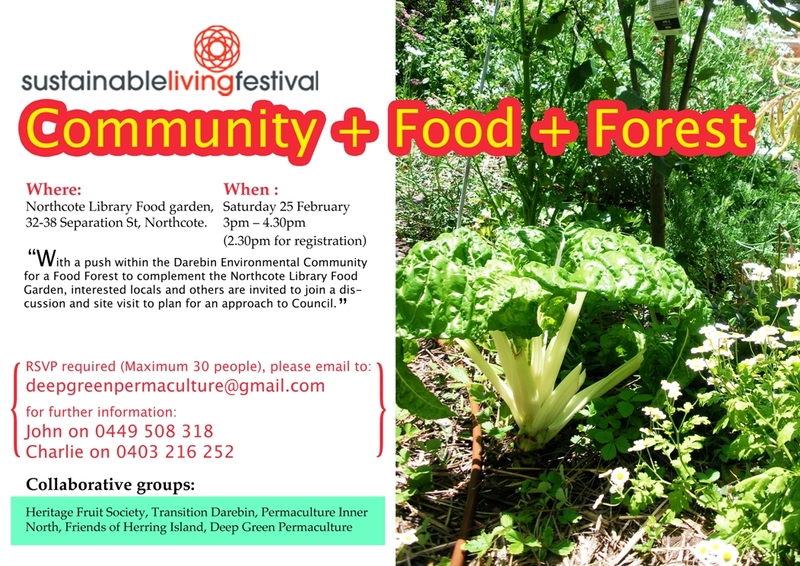 With a push within the Darebin Environmental Community for a Food Forest to complement the Northcote Library Food Garden, interested locals and others are invited to join a discussion and site visit to plan for an approach to Council. Where: Northcote Library Food garden, 32-38 Separation St, Northcote. Duration : 1 ½ hours. Afternoon tea provided. or contact John on 0449 508 318 or Charlie on 0403216252 for further information.